TORONTO, ON (CelebrityAccess MediaWire) — After a hugely successful 2007 run, Rush are announcing they will extend their Snakes & Arrows World Tour into 2008. The band will begin rehearsals in March to revamp the set list before kicking off the tour with their first ever appearance in San Juan, Puerto Rico in April. Rush will tour in over 40 cities in 2008 throughout the United States and Canada making stops in many where they haven’t performed in well over a decade including: Orlando, Oklahoma City, New Orleans, Austin, Jacksonville and Winnipeg to name a few. Along the way, Rush will play new venues in Chicago, Detroit, Philadelphia and Seattle and will revisit some in Boston, Washington and Charlotte amongst others. Rush fans can look forward to a complete tour announcement in mid January. 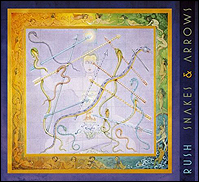 Due to the overwhelming response of their fans in North America, the “Snakes & Arrows” tour has been Rush’s highest grossing tour ever and the best attended in many years. Snakes & Arrows (Anthem/Atlantic Records) was recorded in the fall of 2006 with Grammy Award-winner Nick Raskulinecz (Foo Fighters, Velvet Revolver) with Rush co-producing. Their first album of original material in nearly five years, Snakes & Arrows debuted at #3 on the Billboard Top 200. In addition, the track "Malignant Narcissism" has been nominated for a Grammy Award in the category Best Rock Instrumental Performance. Since releasing its self-titled debut album in 1974, Rush has been universally regarded as one of the most inventive and exciting groups in rock, famed for virtuoso musicianship, epic soundscapes, and dramatic lyricism. The band’s extraordinary body of work – which includes such acclaimed works as 1976’s “2112,” 1981’s “Moving Pictures,” 1996’s “Test For Echo,” and 2002’s “Vapor Trails” – has achieved worldwide sales exceeding 35 million units.